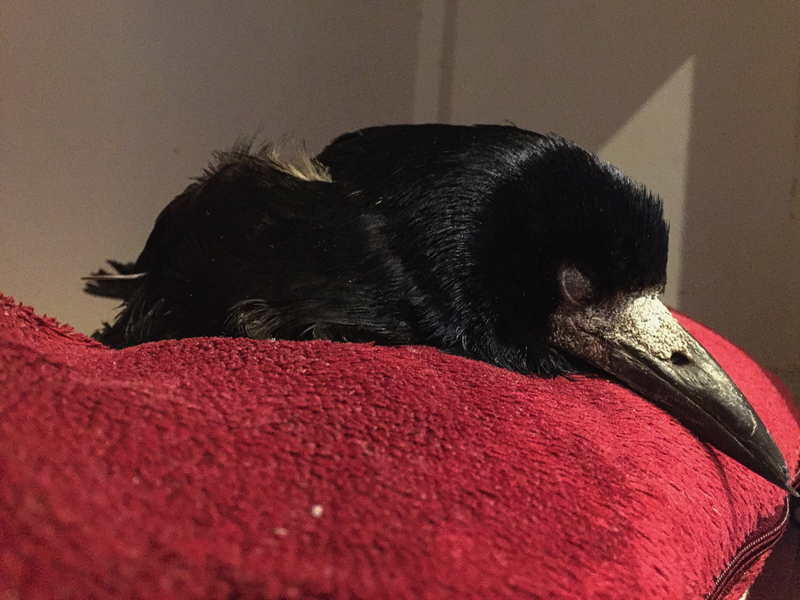 It is with great sadness that we have to announce that we have lost today our rook Martha, one of our resident birds, foster parents and friend. After a very short illness Martha passed away peacefully in our arms. 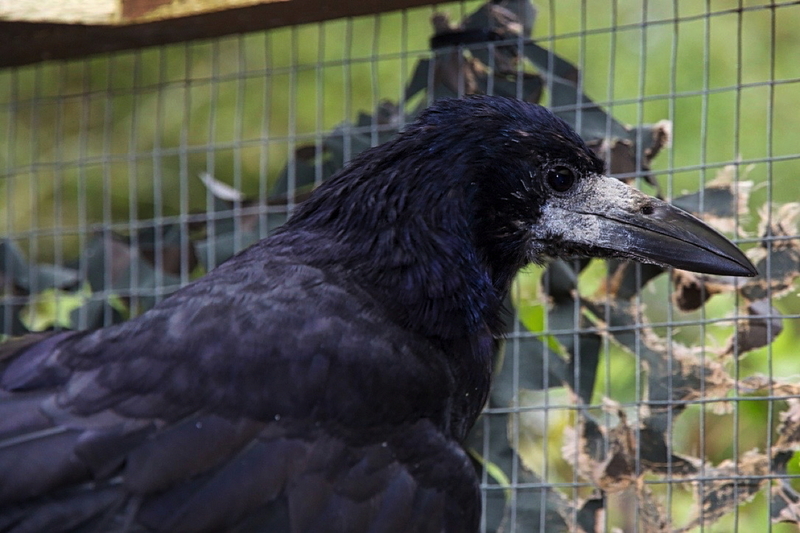 Martha, an adult female rook, came into our care in October 2014. She has been found grounded in a garden after having suffered a carpometacarpal fracture of her right wing. The finder took Martha to safety and cared for her over the course of the next three weeks. We have been asked to take over Martha’s care, when it became apparent that she would not be releasable. Although the fracture showed a satisfactory fracture union and alignment, the wing remained slightly drooped rendering Martha unable to fly properly. Additionally, she also developed a joint infection, which needed longterm treatment including physiotherapy. Martha made a good recovery and regained partial use of her wing allowing her to fly short distances. Martha settled in well into our communal rook aviary, where she helped many young birds to get prepared for their second chance in live, for their release into freedom. We don’t know how old Martha was. 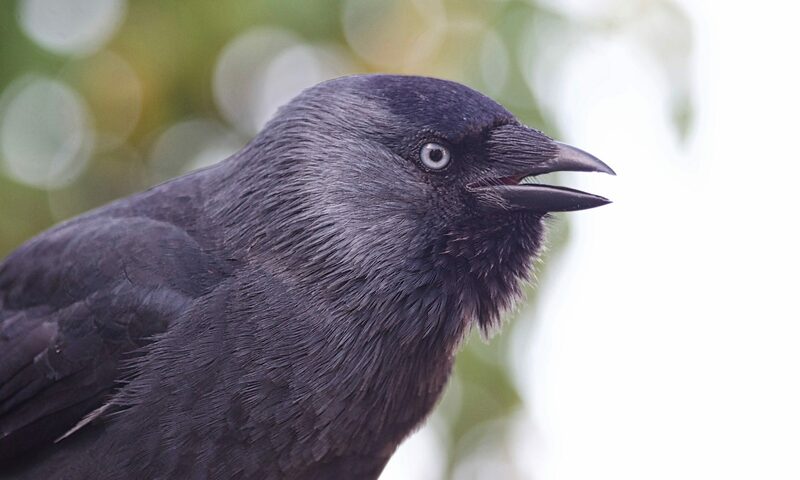 We can only assume, based on observed social interactions with wild rooks and within the rook aviary, that she wasn’t the youngest bird anymore, when she came to us three years ago. It was a privilege to get to know her. Martha made a big difference to many birds during the three years she spent with us. Rest in peace Martha!